With ships docking and departing daily, the Port of Miami holds the title of cruise capital of the world. 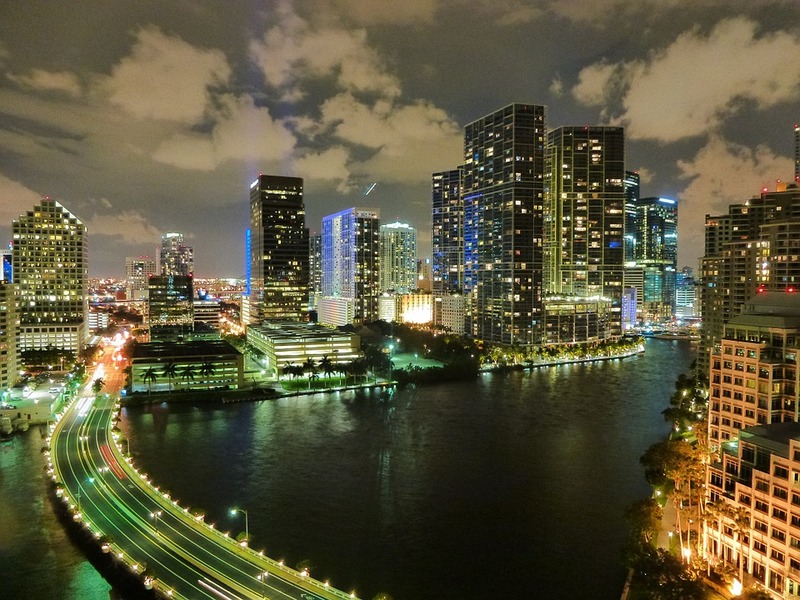 But more than just a departure point for exotic locales, the city of Miami has waterfront fun, nightlife parties, and cultural attractions worth enjoying before or after an ocean journey. Here’s how to enjoy it in just a few days. The western side of Miami houses many of the city’s immigrant neighborhoods, including Little Havana where thousands of Cuban immigrants have made their home. On the last Friday of every month, check out Viernes Culturales (Cultural Fridays) on 8th St. SW, between 14th and 17th Avenues. The neighborhood takes on a festival feel, as art exhibits take over the sidewalk, restaurants offer tastings, and historian Dr. Paul George offers historical walking tours, departing from the Tower Theatre at 7 p.m.
To continue a nonstop party night, call ahead at one of Miami’s famous clubs like Mynt, Amnesia, LIV and Space. Without getting a name on a list beforehand, expect to wait in line, and always have $10 to $20 cash on-hand for cover charges. For a taste of Europe in the middle of Coconut Grove, visit the Vizcaya Museum and Gardens, a Renaissance-style estate built in 1914. With 70 rooms decorated in antique European furniture and 10 acres of Italian-style gardens, the estate has been recognized as a National Historic Landmark. The museum opens Wednesday through Monday from 9:30 a.m. to 4:30 p.m., and admission costs $15 for adults and $6 for children. Grab brunch in the Miami Design District, 18 blocks with over 130 galleries and design shops, at Michael’s Genuine Food and Drink. Order fresh and original entrees like duck confit hash or the kimchi benedict along with a rosemary crumpet served with homemade jam. After the stomach settles, head to Biscayne National Park, the only underwater national park in the country. Reserve a glass-bottom boat tour through BiscayneUnderwater.com, or see the water wildlife up-close-and-personal in the summer months by bringing snorkeling gear to the park. Admission to the park is free, but since 95% of the park is underwater, arrangements for gear and boats, kayaks, or canoes should be made in advance. Take advantage of Miami’s shoreline and grab a seafood dinner at Joe’s Stone Crab, which started as a lunch counter in 1913. Whole crabs, crab legs, coconut shrimp and other seafood specialties can be ordered in the restaurant or to go. Order a coffee and challah French toast from Front Porch Cafe, voted the best place for breakfast on the beach, then head to Bayside Marketplace along Biscayne Boulevard. Snag a souvenir from one of the 140 shops in the outdoor plaza, or walk the water’s edge as a relaxing way to wrap-up a weekend in Miami. Did Betsy Ross Really Sew the First American Flag?